Awe, these are neat! Thanks for sharing! ;D.
You are my hero. Thank you so much! Perfection! I've been searching for great textures, and those are awesome! wow that's great! thanks for the link! Oh, those will be great for backgrounds to photograph my jewelry. Thanks for sharing your find! thank you, they are great ! I was JUST looking for something like this! How did you know? this is an excellent resource! thanks! These are fabulous! Great resource. Love Janet's idea for using them as photo backgrounds for small objects! Oh, awesome! Thanks for the link to such a great resource! Thanks so much for sharing. These are gorgeous and subtle - just what I have been looking for. These are gorgeous! 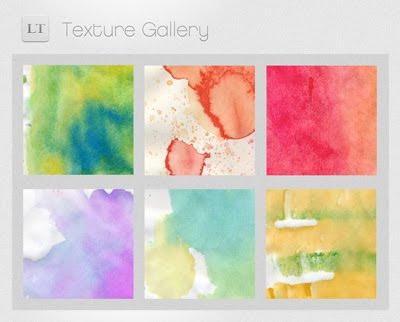 I especially love the watercolour ones. Thanks so much for the link. Great resource! I'm always looking for new textures and backgrounds for design projects. Thanks for sharing! Wow, these are awesome! Thanks for sharing. Just lovely. Thanks a bunch! Thank you for sharing! These will definitely be utilized. you don't know how long I've been searching for something like this. marvellous!! Many thanks for sharing this resource. Omg, thank you!!! What a great web! Im so excited about this, but am having a hard time figuring out how to download the hi res files. What secret am I missing? Stephie, keep clicking an image (first the thumbnail, then the image on the description page) until your browser shows just the image itself. Right click on a PC (I think!) or control-click on a Mac and a window will pop up with an option to save the image to your computer. Dristy, thanks! You can click the "subscribe" link in the left column and then choose Google reader or whatever you're using. If it's something else, you can probably add the web address manually.